Free Shipping Included! 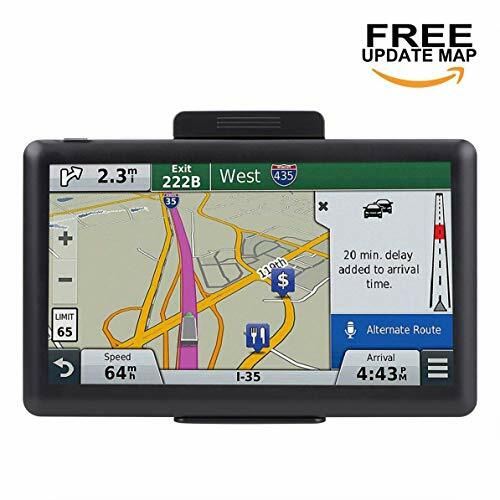 ADiPROD Navigation System for Car, 7 inch 8GB Car GPS Spoken Turn-to-Turn Traffic Alert Vehicle GPS Navigator, Lifetime Map Updates by ADiPROD at Nebula Fia. MPN: ADH71. Hurry! Limited time offer. Offer valid only while supplies last. 7 inch large touch screen react fast with no delay. 8GB ROM plenty of room for you to storage the maps in case your need for intercontinent trips. And also comes with a car charger, back bracket mount and sunshade. GPS unit comes with preloaded Latest Detailed maps, including: United States, Canada, Mexico... Life time free maps update, please feel free to contact us to update. You can customize a better route according to your vehicle's weight, length, height and width, thus avoiding the roads which have width, height or weight restriction, etc. If you have any questions about this product by ADiPROD, contact us by completing and submitting the form below. If you are looking for a specif part number, please include it with your message.